Soap, shampoo, conditioner, lotion, makeup Oh My! 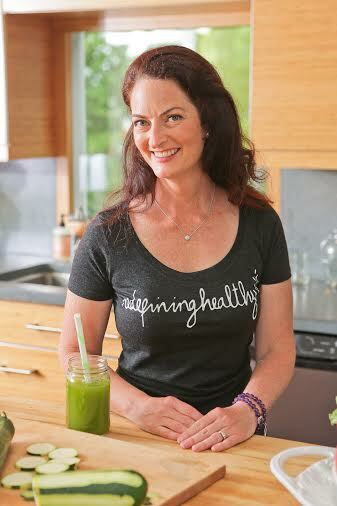 After being diagnosed with Breast Cancer five years ago, I started reevaluating the chemicals that I came in contact with everyday and specifically, the chemicals that had been linked to cancer. I starting reviewing my morning routine. My shower included the body soap, shampoo, and conditioner. 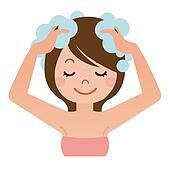 After my shower, I would layer on the skin lotion, face lotion, and hair products. Lastly, came the antiperspirant and makeup. Were the products I was using safe? I turned to the internet and a friend for help: the Environmental Working Group and the Glamorganic Goddess. Both sites helped me determine which products would lessen the amount of toxins I took in. Looking at ingredients lists and researching products can be exhausting and overwhelming, especially when a chemical can be listed on a product twenty different ways. I found some obvious chemicals that needed to get out of my life and would like to share them with you each month. Let’s start with plastic. Plastic: The first toxic material I addressed was plastic. The potential problem with plastic is that it contains a chemical called Bispenol-a or BPA, which has been shown to leach into the bloodstream, affecting hormone levels. Researchers from Indiana University studied how BPA may be more easily absorbed by breast tumor cells than healthy cells. “BPA very likely plays a role in disrupting the normal metabolic balance of hormone-sensitive tissues and organs,” according to health advocate Mike Adams in a NaturalNews.com article. I realized how many things in my house contained BPA—and it wasn’t just plastic items, but some canned items too. I replaced plastic drinking bottles with stainless steel or glass. I like to think of myself as plastic-free. I walk around with my glass drinking bottle, and I use a glass straw to drink my smoothies. The few plastic food containers I have are for non food items now. When I have leftover food, it goes into a glass storage container. How many toxic things are you coming in contact with everyday? Are you constantly drinking from plastic water bottles? Are you eating from plastic microwaveable containers? Are you eating your organic salad with a plastic fork? How can you start ditching your plastic containers to glass?